Our great nation is rich in diversity. Honoring our shared history and reflecting on the past is one way we can honor America’s legacy of freedom. Another shared belief is that we all deserve a comfortable retirement, free of economic hardship. Our website, people like me, honors the many faces that compose the American melting-pot. It reiterates Social Security’s commitment to our diverse American population and is part of our pledge: securing today and tomorrow. If you or anyone you know is disabled, they may qualify for disability benefits. Studies show that a 20-year-old worker has a 1-in-4 chance of becoming disabled before reaching full retirement age. You can see if you meet our strict definition of disabled and apply for disability benefits. 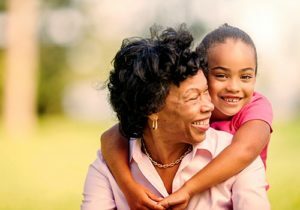 Widows, widowers, and their dependent children may be eligible for Social Security survivors benefits. Social Security helps by providing income for the families of workers who die. In fact, 98 of every 100 children could get benefits if a working parent dies. And Social Security pays more benefits to children than any other federal program. You can learn more by visiting Social Security survivors benefits. Honoring each other begins with fair and equal treatment. Social Security guarantees that, if you pay into the system, you will have the same benefits as everyone else according to your earnings record. This Black History Month, we want to make sure our diverse nation is covered and that no one is left out of the benefits they deserve. We are with you through life’s journey. Get to know your Social Security. Visit people like me and learn more about how Social Security benefits African Americans and other diverse groups. This entry was posted in Online Services, Special Events and tagged 1926, 2017 benefits, Abraham Lincoln, African American community, African Americans, America, American population, black history, black history month, disability benefits, diversity, February, Frederick Douglass, full retirement age, melting-pot, online benefits, retirement benefits, Social Security benefits, survivors benefits by Jim Borland, Acting Deputy Commissioner for Communications. Bookmark the permalink. Today, I have done for something necessary for you . I hope now I received my payment normal. Thank you! My name is Hattie H. Thompson Small. I and a native of Rock Hill, S.C. where I spent a portion of my weary life working in the hot fields of many kind. After I graduated from high school in Rock Hill, I then moved to Washington, D.C. in search for a better life. I was very successful at being able to find myself a job right away. I would work during the day and would attend at night, which was really hard. My father deceased after suffering a heart attack, before we moved to Washington, D.C. After our move to Washington, D.C. for quite a long time I was the only one in my family who had been successful at finding work right away. I found a job as a maid working at Providence Hospital in South East, Washington, D.C. For a total of about 30 + years I worked with several Federal Government agencies throughout Washington, DC Metropolitan areas. Some of these agencies were: US Department of Education, US Naval Weapons Plant, US Civil Service Commission, US Department of Commerce and The American Association for Retired Persons. I suffered a major stroke in 1994 and since that long time I’ve been trying to get help. Thats true Ricky I agree with you. you are a great guy. My grandma died and I had to bury her my grandfather was dead and I was the next to kin. I want to know can I apply for the burial expense of 250.00 to help with the cost. I sign the death certificate. I am so sorry for your loss Catalina. Years ago the funeral homes got to receive the lump sum death payment. Now only a surviving spouse of a disabled adult child eligible on the numberholders record can. The funeral home may be able to make arrangements for you or try Aging Services in your area as there may be a way from local agencies that may be able to help you. We are sorry for your loss Catalina. Generally, the Lump-Sum Death Payment, is payable to the surviving spouse or child of the deceased. What healthcare my deductible is so high I can’t use it. Dr Edith…you can’t possibly be a medical doctor. Repeal of Obamacare does not mean anyone is going to lose their healthcare and you know it. You obviously are mighty proud of the PhD behind your name. Too bad all it signals is that you are a liberal mouthpiece for Obamacare. Obamacare is just taxpayer funded healthcare for the poor and believe me, that’s not going away. I do hope that government waste of tax dollars spent on nonsense such as SSA touting National Black History Month comes to the Trump administration’s attention. I have noticed a reduction in the daily propaganda I receive in the form of emails from SSA. I signed up for these communications because I wanted to stay informed on issues that really matter to a social security recipient. Where in the SSA operations manual does it say you need to spend time and money communicating to us about Black History Month? How is someone going to bury their love ones, if they only get $255? That money is a joke, but I understand we need to have life insurance until the day we die. perlin a. aldridge, Early Retirement is reduced for the rest of your life. I’m sorry. The President and other Republicans are not going to do Anything that will give those receiving Social Security Benefits more money. “In the case of early retirement, a benefit is reduced 5/9 of one percent for each month before normal retirement age, up to 36 months. If the number of months exceeds 36, then the benefit is further reduced 5/12 of one percent per month. When Republicans say they want to "save" or "strengthen" Social Security, what they mean is that they want to cut Social Security benefits. + İlave olarak Now They're Deporting her -"used FAKE social security number" -crime. Here her if she voted too-another crime if so. I’m on SSDI and wish to know if I return to work on a part-time basis, will my Social Security benefit increase when I’m 66 years young..
Hello Joe. Social Security strongly supports those individuals who want to return to the work force while supplementing their disability benefit income. We have special rules to help you get back to work without jeopardizing your initial benefits. Each year, we review the records for all working Social Security recipients to see if additional earnings may increase monthly benefits. However, keep in mind that we used the highest years of earnings to calculate your current (monthly) benefit amount. Please read our publication “Working while Disabled – How We Can Help” for more information. I need a replacement SSA 1099 form but cannot get into my social security account. I got the user name, forgot the pass word, and entered incorrect answers to questions. My answers were correct. This is truly me, and I want to file my taxes by April 17, 2018. I am frustrated. I am unable to get into my account. It is absolutely me, Betsey Heald, and I do want to find some way to get into my account for the needed tax information. Hello Sal. Please visit our Frequently Asked Questions web page on how you and your wife can get a replacement form SSA-1099. Thanks! either lost or did not receive 2018 ssa-1099 how do I get one? Hello, Sherri. The SSA-1099 is mailed by January 31 each year. If for any reason you do not receive your SSA-1099 in the mail by then, starting on February 1, 2019, you can request a replacement SSA-1099/1042S for Tax Year 2018 using your personal my Social Security account. Thanks! please give me instructions on printing a “Benefit Statement” for my deceased father (died June, 2018) for his final income tax return. We’re sorry to hear about your loss, Brooks. The benefit statement is mailed to the last address in our records and is intended for the spouse or executor of the deceased. If you do not have access to the mail at that address, the executor will need to go into the local field office with proof of death and proof of executorship. An SSA-1099 can also be given to someone receiving benefits on the deceased beneficiary’s record such as a spouse, parent, or child of the deceased. If you need more information, call our toll free number at 1-800-772-1213 (TTY 1-800-325-0778), Monday through Friday from 7 a.m. to 7 p.m. and ask a representative for assistance.